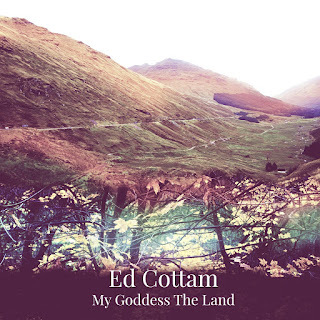 Ed Cottam's My Goddess The Land is released today. It's the follow-up to his 2015 album The Twisting Vine that he released as The Gildings. 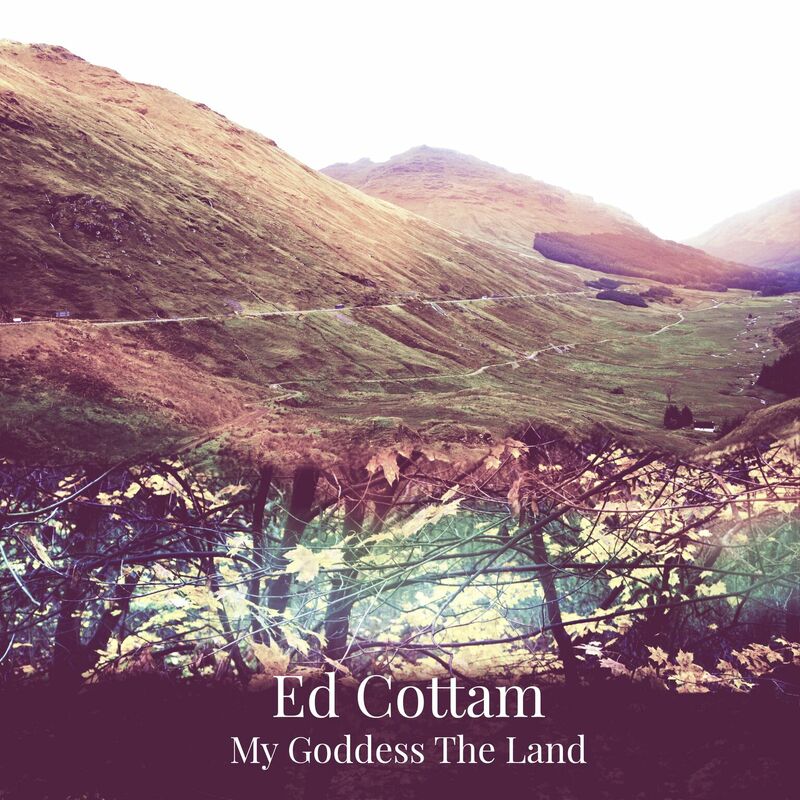 Inspired by paintings, poetry and Ed's reading, it's an album whose central focus is the sorry state of the environment and how science and spirituality impact on it. Ed was kind enough to walk us through the album track-by-track to provide us with some more insight into the songwriting process and the subject matter. The album was predominantly arranged and recorded by myself and producer Adam Hynes. This track didn't work so well in its initial recorded versions. However, once Adam created the guitar and synth samples it really came to life. A Hawthorn in Risley Moss nature reserve, Warrington near where I live and grew up. A plea to be healed in a period of bad health. Around this time I think I was reading - 'Tree Wisdom' by Jacqueline Memory Patterson who is an archduchess. We never originally intended to start the track with Hannah Nicholson's harmonised vocals - we copied her backing vocal chorus parts to the beginning of the track during mixing. Night Time. Me and you against the world. It's currently my favourite song from the album, although initially I didn't think much of it as it was written very quickly and seemed of a similar ilk to some of my much older material. We achieved some unusual sounds on this, particularity Adam's cello like synth line. It was played with a Arturia MiniBrute. The Synth is featured heavily on the album and it certainly shaped the overall sound. Manchester's The Britons Protection pub. The blindfolded cherub = The uncertainty of love. It was influenced by Rossetti's 'Sibylla Palmifera' and Millais', 'Spring (Apple Blossoms)'. which are both in The Lady Lever Art Gallery. Adam's swelled and slide guitar parts are my highlight of the track. Ash Die Back. Mixing science and tribal like folklore. Around this time I read 'The Druid Way' by Graeme Talboys. Pretty much a one chord Blues. Prior to any lyrical or vocal ideas it started life as an improvisational guitar idea, in the vein of the instrumental sections. Silver's twin. A description of one image/painting to the next. A Goddess. A place. It was written after watching the BBC documentary 'Hebrides - Islands on the Edge' and also has echoes of Rossetti's paintings that feature musical women, particularity 'A Sea Spell'. I was trying to write songs that were more meandering in form - the second verse is both melodically and harmonically different to the first. Islay's twin. Another Goddess. It also feels like a sequel to 'Sweet Lady of the Gently Rolling Plains' which was on my last album. Its night time chorus also seem to connect it to The 'Night Has No End'. I really like the outro on this one which I think is some of my best guitar work. The superficiality and fickleness of modern love. It feels sonically like a sequel to 'Flowers in Bloom', again from my previous album. I learnt more about the symbols and meanings associated with the flower by reading 'The Secret Language of Flowers' by Samantha Gray. I think we got the outro climax of the song spot on and it's mainly achieved through Hannah's vocals and the building Mellotron part. The life giving and destructive force of water. Floods. The melting of the ice caps. Like Don't Die back is combines science and tribal like folklore. It has a weird pitch shifted and processed vocal part on the second half of the chorus that sounds pretty Sci-fi! Gaia. At the end of March 2013 there were violent winds and drifting snow. Half a heard of 200 Wild Ponies in North Wales died as result. Again I was experimenting with song form and wanted to do something that got away from a standard verse-chorus structure. We wanted it to sound 'orchestrated' but using the same instruments as on the rest of the album (guitars, synth, keys, bass etc. ).